Influencer marketing has come a long way from its early days. What marketers once dismissed as a trend is now widely accepted. In fact, about 87% of influencer campaigns have a budget of $100,000, and almost 40% of marketers expect to increase their budgets this year. Want to add influencer marketing to your overall mix but not sure of the best strategy? Check out these trends, which are sure to dominate 2019. The term ‘influencer’ used to refer to creators who literally started producing content in their bedroom and gained a following online. Expect this definition to change in 2019, as 2018 leveled the playing field among influencers. Celebrities such as Will Smith, who’s creating content on on Facebook, Youtube and other social channels, and The Rock, who acts like an influencer on Instagram, now have these social channels to reach their followers. Although Facebook (and consequently, Instagram) were hit hard by the Cambridge-Analytica scandal in 2018, and saw a decrease in user base, marketers are still expecting more people on social media. As social media grows, so will the number of influencers. Because of this, there will be more noise to sift through. Hashtags will become more saturated, so brands will seek out content in geotags and mentions to discover the most high-quality engagements. Brands looking for higher quality engagements will turn to nanoinfluencers instead of microinfluencers. Nanoinfluencers are Instagram users with 1,000 to 10,000 followers, while microinfluencers have between 10,000-50,000 followers. According to Markerly, engagement rates are inversely proportional to follower count, so the smaller the following, the higher the engagement. Compared to microinfluencers, which are considered experts in their field, these nanoinfluencers are usually prominent people in their communities such as pastors and youth leaders, and thus have close, personal relationships with their followers. In 2019, brands will have to balance the authenticity of nanoinfluencers with the reach of microinfluencers. Brand-influencer relationships are usually short-term. Brands partner up with agencies to look for influencers for a certain campaign, and the cycle repeats after the campaign is over. Since influencer marketing is here to stay, influencers will have already established relationships with their audiences. Instead of several short-term campaigns, brands will benefit from forging long-term partnerships with influencers. This will strengthen the relationship between the two, and make product promotion seem more authentic. Brands will also enjoy the perks of long-term association as the influencer’s followers will be familiar with the product and immediately associate it with the influencer. This is the best way to build brand loyalty. Another thing brands are starting to realize is that instead of looking at follower count (which can easily be faked), it’s more important to look at how their chosen influencers’ followers align with the brand’s target audience. Additionally, brands are taking more risks by partnering with influencers that are ‘edgier’ rather than those one would expect the brand to partner with. By partnering with more radical choices, and giving the influencer free reign in content creation, one would say the brand minimizes any bias in opinion, and in turn, the customer is ensured that the influencer is giving a rawer, more authentic opinion. Marketers are also expecting to see more authentic content being made. Yep, stock photos, overly staged photos and advertisements aren’t cutting it anymore. The reason why influencer marketing is successful is because people want honest reviews of products, and trust peer recommendations more than ads. Additionally, in the interest of transparency, influencers will want to disclose when brands compensate them for their work. Other than showing ‘real’ photos, influencers will also be more upfront about their not-so perfect lives behind the camera. These posts usually generate the most engagement, because these posts are relatable. At the core, everyone is human and need reassurance that they’re not alone in dealing with their inner struggles. Lastly, it’s not very exciting but brands should be working together to come up with better metrics to measure the success of their influencer marketing campaigns. Industry-standard rates for influencer campaigns should also be established. Gone are the years of staged photos and perfect poses. Recent years have seen the shift in influencer marketing to a more authentic, relatable feel. 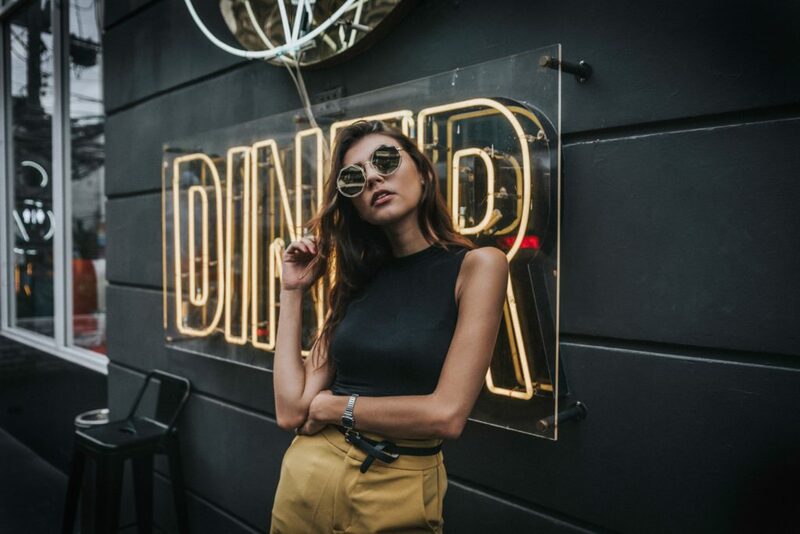 If you’re interested in running an influencer marketing campaign for your brand but don’t know where to start, contact Alter New Media for more information.